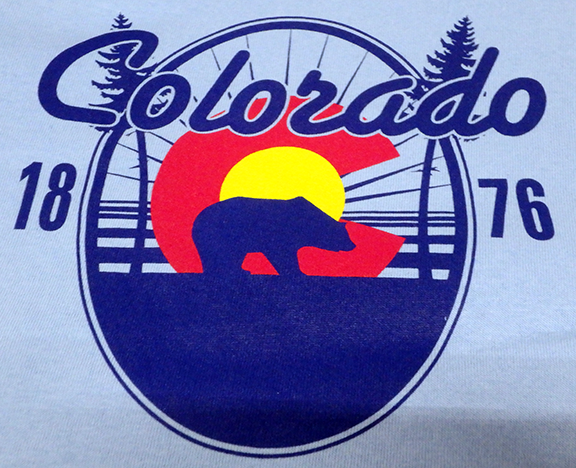 Our in-house art department has created a wide selection of Colorado souvenir garment designs for screen printing as well as many stock embroidery designs. 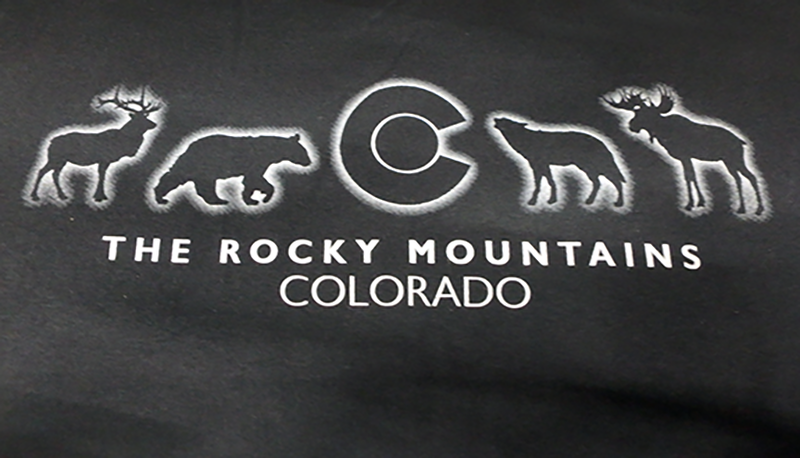 The stock art that we create seasonally works for any interest or attraction in the Colorado and Rocky Mountain region. Our artists use their expertise to design eye catching and diverse collections of art ranging from trendy to classic and youthful to mature. Most of our designs are set up to substitute name drops, therefore we can easily customize them with your location or name. 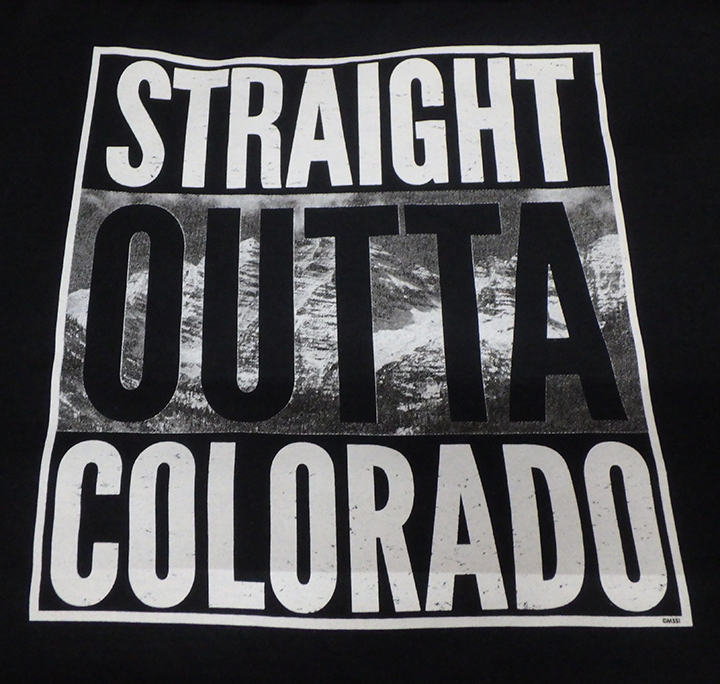 This 2 color design is available on short sleeves, long sleeves and hoodies! 1 color design that looks great on tee-shirts and hoodies. 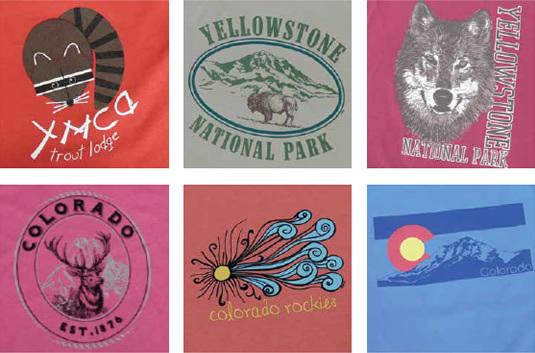 G-230 is our #1 selling screen printed design. It works for all garment colors and styles. This is printed using our trendy neon pink ink. One color, licensed, screen printed tee shirt is available on short sleeve tees. 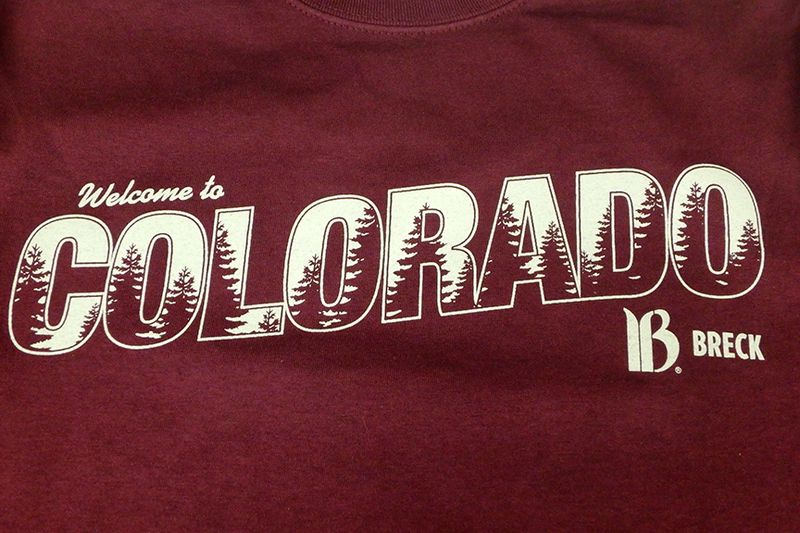 Unlicensed options are available for long sleeve tees, hooded sweatshirts and crew neck sweatshirts. This 3 color design looks great on light blue and light grey tees! Three tree embroidered beanies come in pink, Carolina blue, black and forest. Embroidered bear beanies are available in orange, heather grey, royal and gold. 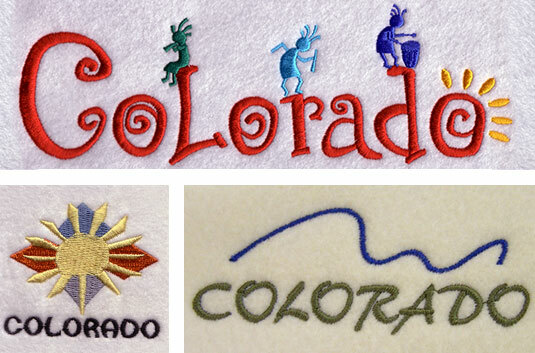 for screen print or stitch count for embroidery as well as garment type. Copyright © 2011 - 2019 Mountain States Specialties, Inc. All Rights Reserved.